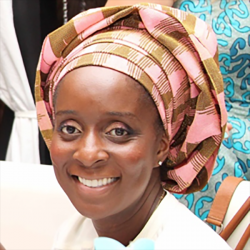 As founder and executive director of the non-profit organization Run For a Cure Africa (RFCA), Ebele Mbanugo has dedicated her life to cancer education and awareness. After her mother and two aunts were diagnosed with cancer, Ebele was driven to create an organization that opened access and eliminated barriers to affordable breast cancer screenings to Nigerian women. Today, RFCA provides free screenings to thousands of women throughout Ghana, Nigeria and Cameroon, and established the first patient navigation program (PNP) in Lagos. In Ebele’s experience with the PNP, she noticed patients rarely asked their doctors questions. This inspired her C3 Prize idea to produce culturally-relevant and easy-to-understand information via a digital audio series about breast cancer for patients in Nigeria. Ebele’s idea won the Educational Tools category, which recognizes innovations that aim to help patients learn about cancer, the treatment process and available resources. Read about Ebele’s journey as she prepares to present her idea at the C3 Prize Pitch in Kuala Lumpur. What is your background in healthcare? I am the founder and executive director of the non-profit organization, Run For a Cure Africa (RFCA). We are a not-for-profit organization with a presence in Nigeria, Ghana and Cameroon, and we are a recognized 501(c)3 charity in the United States. Not only does RFCA provide free breast cancer screenings to thousands of women throughout Ghana, Nigeria and Cameroon, RFCA works with local federal hospitals to provide greater access to quality breast cancer care. RFCA also works in the community to provide culturally-sensitive education. RFCA established the first patient navigation program (PNP) in Lagos. The PNP navigates women fighting breast cancer through their treatment and post treatment journey by reducing or eliminating any barriers to care. In March 2016, RFCA, in collaboration with Lagos University Teaching Hospital (LUTH) management, commissioned the first exclusive breast cancer care clinic in Nigeria at LUTH. Has cancer personally impacted your life? If so, could you please share how? In 2007, my mother and two of her sisters were diagnosed with cancer. It was a confusing and scary time for my family. When one of my aunts passed away about 6 months after being diagnosed, it really hit me how blessed we were that my mother survived her first round with cancer. My mother is Nigerian, and this inspired me to start a program to give Nigerian women access to free/affordable screening. This program grew into an organization with the vision of turning the 90% mortality rate of breast cancer, to the 90% survival rate. My mother later passed away from complications arising from her breast cancer, but through her life, God has allowed us to provide hope, dignity, and access to more comprehensive care for breast cancer patients. What do you believe is one of the biggest challenges or unmet needs cancer patients currently face? Outside of the cost of cancer treatment, the biggest challenge we have witnessed is patients’ understanding of their specific diagnosis. We run a breast cancer support group and at one of our meetings we asked the twenty-five women in attendance what their specific diagnosis was. Not one person in the support group could answer. Additionally, we have had patients stop treatment because they felt they were feeling better and no longer needed to continue with it. These are examples of how not knowing your disease can prove deadly. How did this inspire your C3 Prize idea? From our experience with the PNP, we’ve noticed patients rarely asked their doctors questions. Generally speaking, if the patient does not understand something, they remain ignorant about this thing out of fear of agitating or offending their doctor. Where there any obstacles in getting your idea off the ground? The biggest obstacle we are currently facing is funding. Funding for the studio time to record the series, pay the actors and script writers and to hire an additional PN for support that will be needed to field phone calls and provide support for the patients we anticipate will enter into the program and need more follow up as a result of this audio series. What makes your idea innovative from other non-treatment solutions? It is innovative because from our environmental scan, this type of educational entertainment has not been done in Nigeria for breast cancer. While tremendous progress has been made to overcome the taboo of this disease, there are still myths and stigmas we must debunk and this audio series has the potential to do this in a non-threatening, intimate, and appealing manner. How would winning the C3 Prize help further your mission? What is your next step if you win the prize? A major tenet of our mission is to fight breast cancer by erasing societal stigma. Through this medium and the characters in the series, we can show our patients with breast cancer that they are still human beings and can still be active members of their community despite their disease. Our next step with the C3 prize is to develop the pilot audio series, which we will initially call the Patient Navigator. Using the information from our data of common barriers to care, we will create characters that reflect our patients and likely individuals in the community. We will also hire an additional patient navigator whose responsibility will be to moderate the WhatsApp group where we will send the weekly audio series. Check out the C3 Prize website to learn more.